Sales managers dream of the day their company purchases a Customer Relationship Management (CRM) system, thinking it will solve all of their problems. However, while a CRM system can help improve sales, it must be utilized properly to have a positive outcome. This includes understanding the upfront dedication that a system needs to be fully integrated and how you can use it to meet sales goals. When you first get a CRM system, you either have to commit fully or have it run as a standalone, which can work in most cases. According to Chris Peterson from Security Systems News, many companies start by trying to fully integrate the system and realize it is not as easy as they thought. Having a partially integrated system will leave your data and employees in a confusing mess. By having your CRM system set up one way or the other, you are ready to reap the benefits of this system. According to MarTech Advisor, CRM systems give sales managers the ability to view the entire sales landscape within their company. CRM systems allow for you to keep track of everything from the leads to the closure of sales. This can help you keep track of long-term goals for the company and short-term goals for each employee. While the big picture may seem like the goal to focus on, you can accomplish more by taking a deeper look at your employees. You have the ability to uncover the process of a sale at an individual level and see how each employee goes about his or her daily tasks. From here, you can see what mistakes are made and where time is wasted by each employee and fix these issues. By decreasing the time spent on each sale, you open the employees up for more prospective clients, which will accomplish the big-picture goals in the long run. 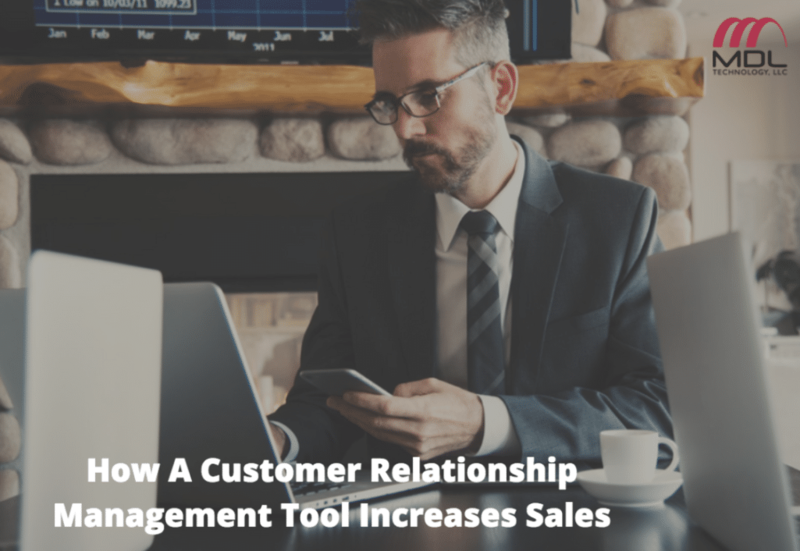 Keep in mind that you will have to put in work to get results from a CRM system, and by utilizing the information you receive, you will be able to help employees do their jobs better and increase overall sales. To learn more about CRM systems and how to get started, check out MDL Technology’s website.